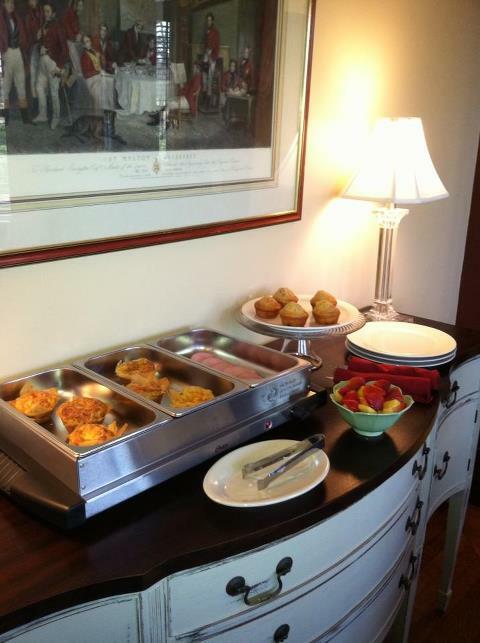 We offer our guests house-prepared breakfast featuring one of our signature meals. We serve buffet style from 8:30 a.m. – 10:30 a.m. eastern time. Peak Season: Our breakfast service may include: Blueberry Baked French Toast, individual Quiche Souffle with Fire-Roasted Vegetables, Swiss & Cheddar or our Vegetable Frittata with Honey Chèvre & Monterey-Jack, Petite Smoked Ham Steaks, Horseradish Mustard or Breakfast Maple-Glazed Sausage Links. “The Best Ever” house-made Blueberry or Banana muffins, Seasonal Fresh Fruit compote. Orange or Cranberry Juice, Coffee, Tea, Hot Chocolate and other Hot Beverages available 24/7 from our self-serve beverage station. Low Season and year-round weekdays: We offer a continental style breakfast that includes: eggs, fresh baked goods, fruit compote, Irish steel-cut oatmeal, selection of Greek-style yogurts, Orange or Cranberry Juice, Coffee, Tea, Hot Chocolate and other Hot Beverages available 24/7 from our self-serve beverage station. 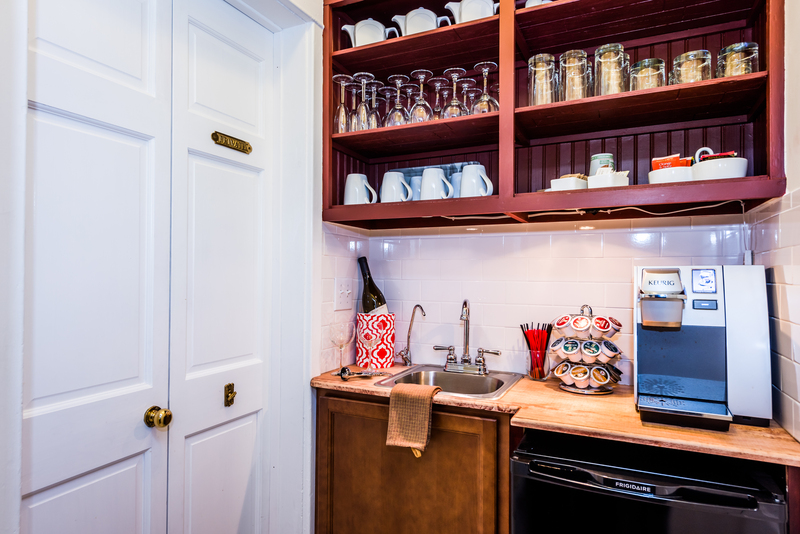 We offer our guests complimentary hot and cold beverages 24/7 from our self-serve beverage pantry. You’ll find a selection of fine coffee, tea, soft drinks and filtered water. Refrigeration space, glassware and ice are available as well.